Upon receiving the Golden Globe for Best Director for The Revenant, Alejandro G. Iñárritu said, “Pain is temporary, but a film is forever.” It is a mantra that he has obviously willed himself to believe because the stories from set in Canada suggest this ambitious frontier epic will earn its place alongside Francis Ford Coppola’s Apocalypse Now and Werner Herzog’s Fitzcarraldo as one of film history’s most arduous and challenging shoots. The film is an endurance test, for its crew, for its characters and even, in the best possible way, for its audience. The traditional romantic comedy is increasingly becoming a thing of the past. 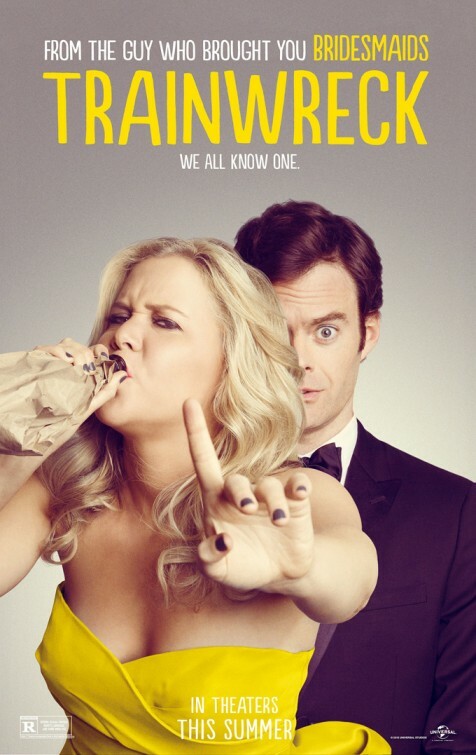 A hit romantic comedy in the 21st century requires a slightly harder edge, and that is exactly what you get in Trainwreck, the debut film from writer and star Amy Schumer. ‘Abortion comedy’ is hardly a phrase that rolls off the tongue, ‘abortion romantic comedy’ even less so. It sounds like an oxymoron, or at least in questionable taste. 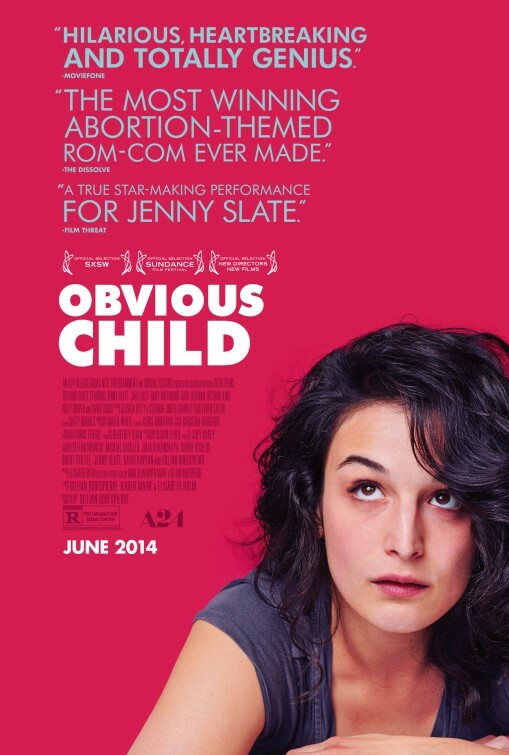 But that is exactly what we get with Gillian Robespierre’s Obvious Child, a brave debut feature unafraid to look honestly at this most divisive of issues. Donna Stern (Jenny Slate) is a very frank, small-time stand up comedienne. Her material is highly confessional, consisting mainly of sharing her life experiences with her audience, with a generous smattering of bodily functions jokes. She has the rug pulled out from under her when her boyfriend breaks up with her, at least in part due to his discomfort with the details of their relationship being shared so openly with her audience. As part of her meltdown, she has a drunken one-night stand with a clean-cut business student, Max (Jake Lacy), and a couple of weeks later discovers, to her horror, that she is pregnant. New York auteur Noah Baumbach seems to make films about life stages. The Squid and the Whale, his 2005 calling card, was about a teenager dealing with the breakdown of his parents’ marriage. The critically acclaimed Frances Ha was about being in your twenties and trying to forge your identity. His newest film, While We’re Young, is about reaching middle age. It is about reaching that point where you no longer feel like a kid pretending to be an adult, about reaching that point when you realise that you no longer understand young people. In 2008, at the age of 56, Oscar nominated actor Liam Neeson’s career took a peculiar turn. Pierre Morel’s Taken introduced the world to Neeson’s “very particular set of skills,” and the success of that movie, its sequels and imitations have turned Neeson into arguably Hollywood’s most bankable action star. That all of this happened simultaneous to The Expendables franchise having tongue-in-cheek fun by bringing back a group of action heroes from decades past, most of whom happen to be roughly the same vintage as Neeson, only adds to the peculiarity. Juame Collet-Serra’s Run All Night is the latest film to take advantage of Neeson’s new tough guy persona. Chris Rock is a great stand-up comedian. While many comics see stand-up as a stepping stone to television and movies – and Rock has definitely taken his fair share of average movie roles – he clearly has aspirations to be a filmmaker not just a performer. With Top Five writer-director-star Rock has his go at being Woody Allen.